NO CHAIN AND WELL PRESENTED! Located in Stoke within a beautiful character building is this one bedroom ground floor flat. 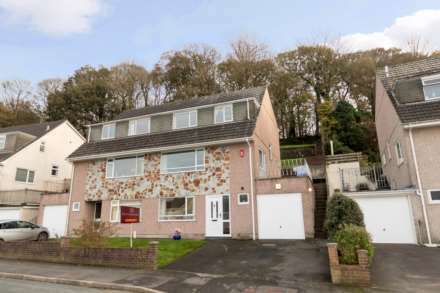 Offering well presented and modern accommodation which briefly comprises entrance hallway, open plan living space with lounge/dining area and bay window to the front gardens, fitted kitchen, modern fitted bathroom, and large double bedroom overlooking the rear gardens. Offering a number of character features such as tall ceilings, timber window shutters and six inch skirting. Outside there are communal front and rear gardens as well as a private laundry/store room allocated individually to this flat. Offered to the market chain free contact novahomes today to book your appointment. This property has the added benefit of being in a building where the freehold title is owned by the management company, of which each flat owns an equal share. There are 4 flats in the building. There is a payment of £50 per month as mutually agreed by each owner to allow for the provision of a sinking fund to be in place to handle all maintenance and associated costs of the building. The lease is currently being extended to provide a 999 year term.